BRYAN EATON/Staff photo. 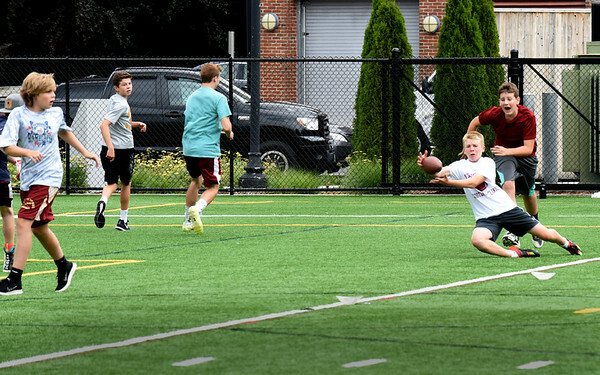 Youngsters play in a football camp at Stehlin Field part of Newburyport Youth Services summer program. The camp is being coached by Newburyport High School's new head coach Ben Smolski.